The Rwandan High Court has released 22 suspected jihadists who were arrested in 2016 over their alleged involvment in terrorist attacks in the country, a judicial source confirmed to APA in Kigali on Saturday. They were freed by the Chamber for International and Trans-border Crimes in Nyanza, a district in southern Rwanda. Over the last three years, at total of 41 suspected suspected jihadist recruiters were arrested in different parts of Rwanda during police operations in which at least four others were killed. Rwandan Police confirmed since that time that "terror networks" within the Muslim community were being set up in Rwanda and made a number of arrests. 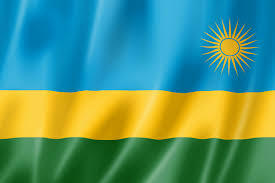 Rwanda's Muslim community reprsents two percent of the population, with Catholics accounting for 43.7 percent and Protestants for 37.7 percent, according to official estimates. The arrest of jihadists in Rwanda highlights a small but growing risk of terrorism in the East African nation, which has become more manifest over the last few months. Despite latest police operations, terrorist attacks linked to religious radicalism in Rwanda have been very rare.